The Cotley Farm Christmas Story started about 16 years ago when our farm was badly affected by the foot and mouth crisis, prompting a need to diversify our farm business. We began growing Christmas trees and from our first year of selling 30 trees we now have 25 acres devoted to growing them. Taking between 6 and 10 years to grow a Christmas tree, this truly is a growing business. Hand in hand with the growing of the trees has been the development of our family farm site at Cotley Farm into what we hope is a very special Christmas experience. The farm nestles on the hillside with amazing views overlooking Whimple and we are passionate about keeping a very traditional feel to our Christmas destination. Our shop proudly promotes the best of West Country produce, and is overflowing with unusual gifts and decorations to give a truly festive feel to your visit. We are also livestock farmers and bring the animals into our barns for you to see at Christmas. In 2008 the introduction of our real Reindeer added a very special magical touch. We now have six reindeer on the farm and also hire them out for visits. 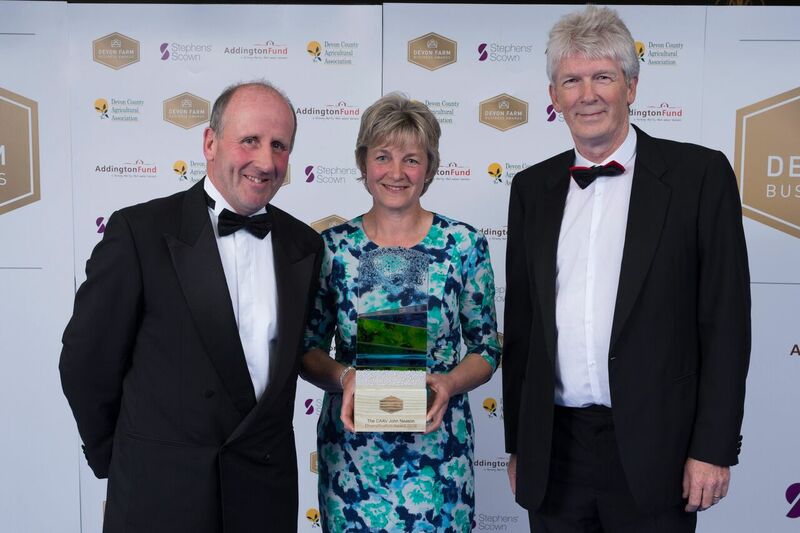 We are very proud that Cotley Farm Christmas won the John Neason Diversification Award at the Devon Farm Business Awards this year at the Devon County Show. We want to say a big thank you to all the people who have helped us to create a special place to come for your Christmas tree. We are very proud that many customers have made it their family tradition to visit the farm to see the reindeer and other animals. So thank you to you too! We take our social responsibility seriously and so we support our local community by offering a Christmas voucher scheme to support your chosen local school. We also do not make any admission charge to see our animals at Cotley Farm but instead ask for donations for our chosen charity ‘Send a Cow’ which trains Africans to lift themselves out of poverty through sustainable farming methods.